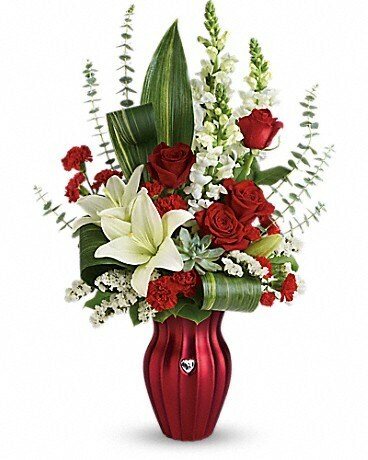 A gift with heart! 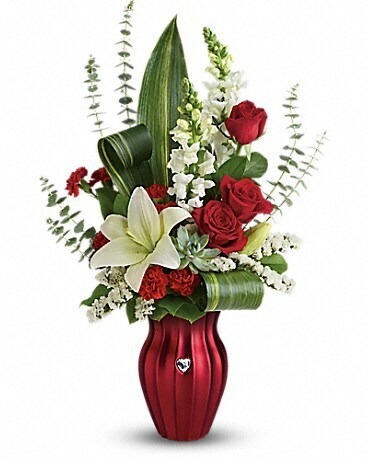 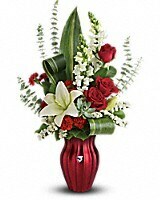 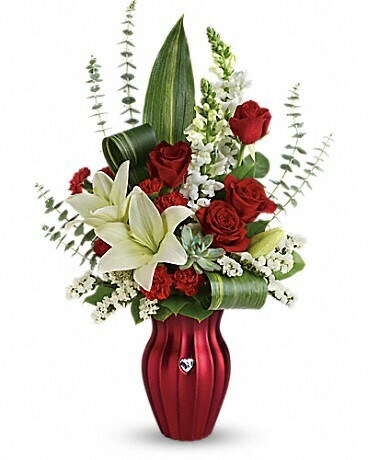 Make their heart flutter this Valentine's Day with a dramatic bouquet of radiant red roses, pure white lilies and snapdragons, lovingly hand-delivered in this elegant ceramic vase. 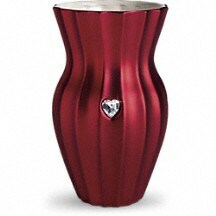 Its luxurious satin texture and shimmering rhinestone heart make it a stylish keepsake they'll treasure forever!